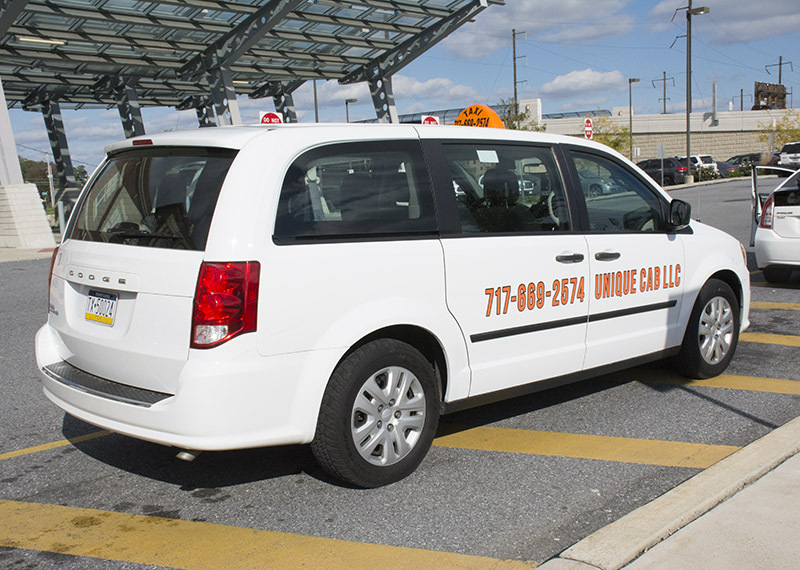 We appreciate the opportunity to give you an enjoyable ride in comfort, as our friendly drivers provide a safe means of getting you to your destination. 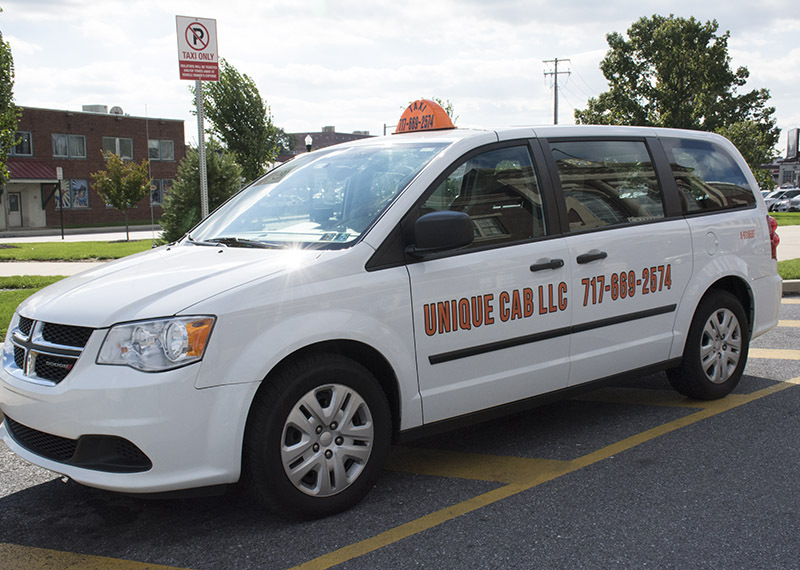 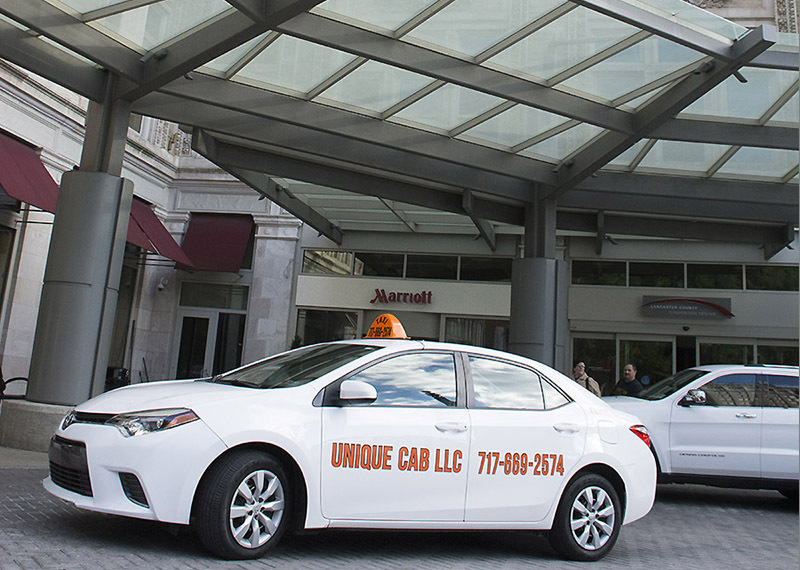 Unique Cab transports customers to a variety of locations. 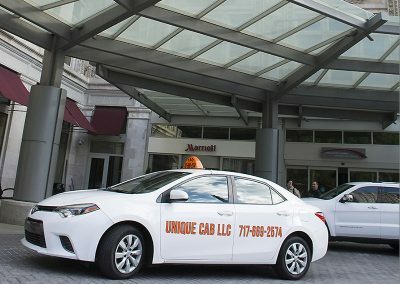 Here’s just a few candid shots of locations Unique Cab has been seen. We invite our customers to send in photos to us and we’ll share them here. Thank you! 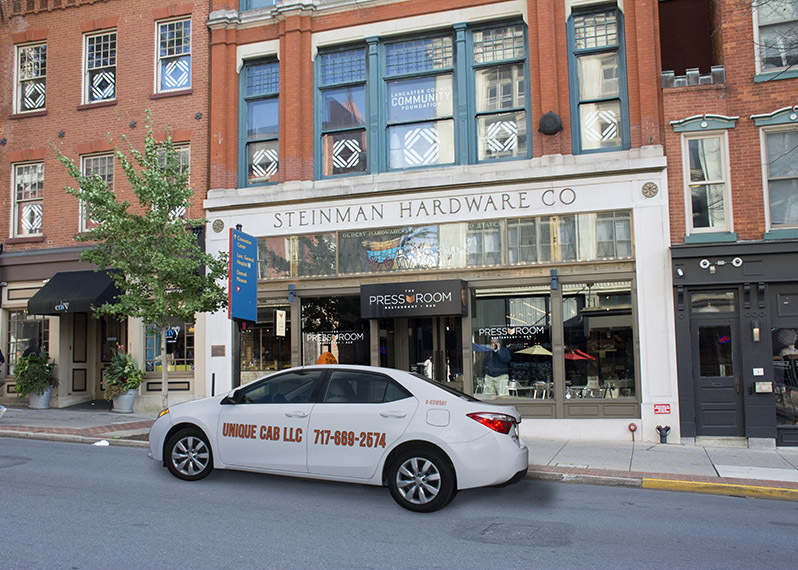 The Press Room Restaurant is a downtown Lancaster favorite. 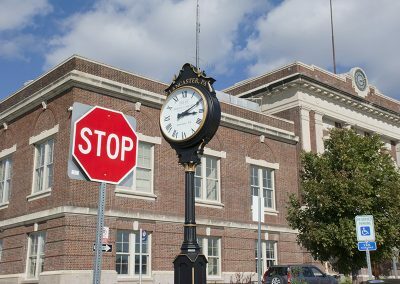 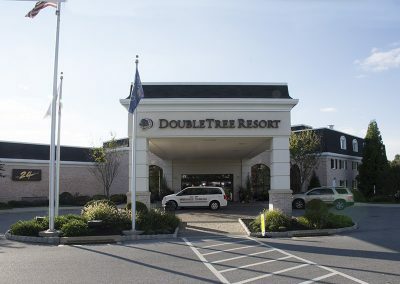 Double Tree Resort Lancaster is just a few miles from downtown Lancaster. Unique Cab van ready for a customer needing a ride. 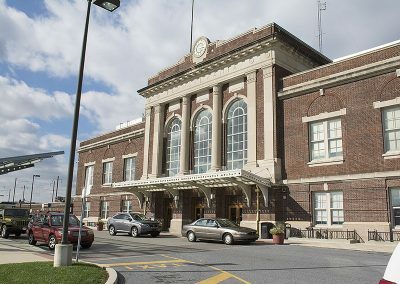 Exit area view from the Lancaster Train Station. 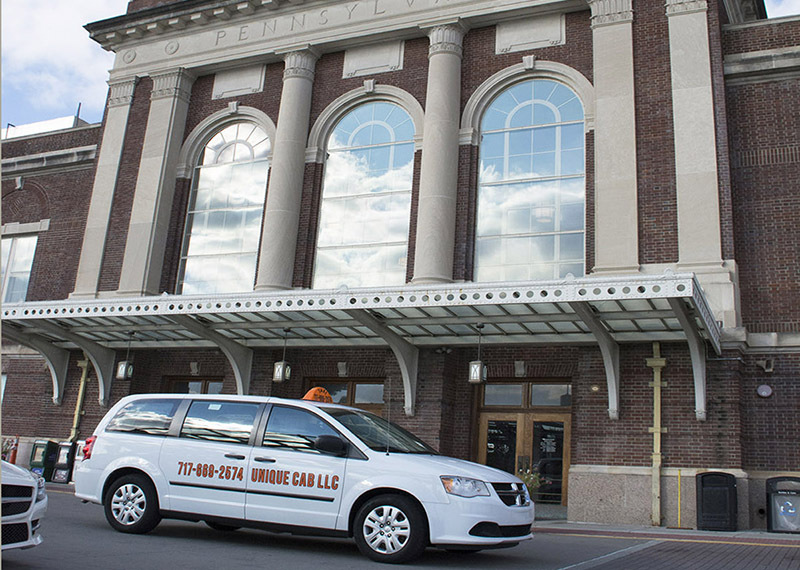 Parked at the Lancaster Train Station ready for our customer’s arrival. Door to door drop off at your destination. 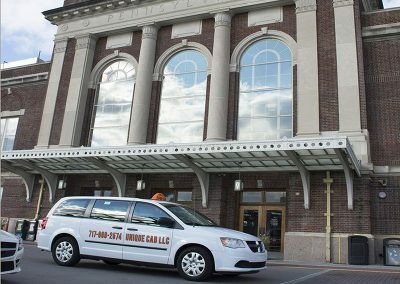 Unique Cab transports to local or far away destinations.